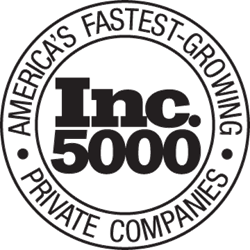 It is exciting to be named on the Inc. 5000, but to make it three consecutive years is a great honor. Over the past eight years Ideosity has experienced tremendous growth and we continue to expand our team and invest in the best technology and people. Ideosity, a leader in Master Data Management (MDM) and Product Information Management (PIM) end-to-end consulting services, is ranked 2,236 by Inc. magazine’s 36th annual Inc. 5000, an exclusive ranking of the nation’s fastest-growing private companies. Ideosity earned the position of 2,236 in recognition of an impressive three-year revenue growth rate of 175%. This is the third consecutive year Ideosity has been recognized on the list. The last 12 months of Ideosity’s growth has been propelled by a driving sales force, strong vendor partnerships and strategic investments made across the business. “As pioneers in MDM/PIM consulting, we remain passionate about helping clients combine our services with MDM technologies to eliminate obstacles, mitigate rise and create business improvements throughout their entire data mastering journey,” adds Dase. Mansueto Ventures-owned Inc. is the New York-based publisher of Inc. magazine, which was founded in 1979 to report on entrepreneurs and business owners. In 1982, the company introduced the Inc. 500, which showcases the fastest-growing privately held, U.S.-based and independent companies in the U.S. with revenues of $2 million or more in the most recent year. The website Inc.com was launched in 1996, and in 2007, the Inc. 500 list was expanded to the Inc. 5000 to provide a deeper understanding of the entrepreneurial landscape. For more information, visit http://www.inc.com. Ideosity is a consulting firm that provides advisory, implementation and support services to small, medium and large enterprises to improve their business results through best practices and the strategic use of Product Information Management (PIM) and Master Data Management (MDM) technologies.